In a medium pot, add a pinch of salt to three cups water and boil. When boiling, add oats and stir, turning heat down to medium. 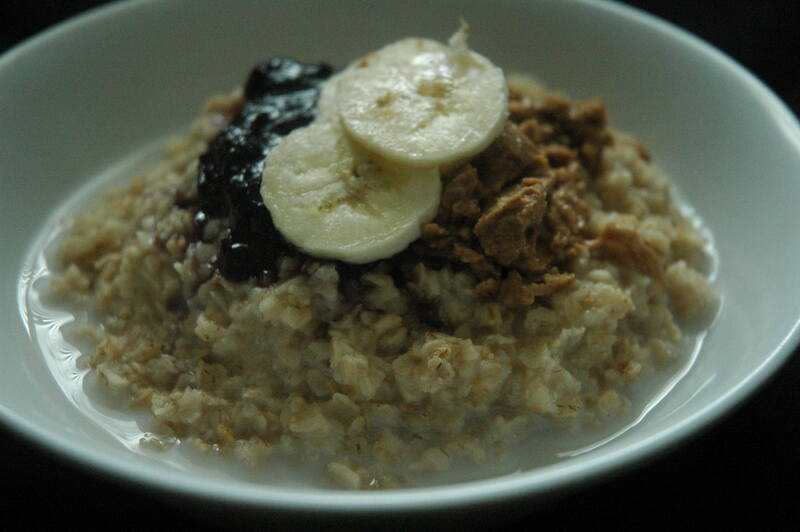 Cook until oatmeal has a thick consistency. Stir in vanilla. 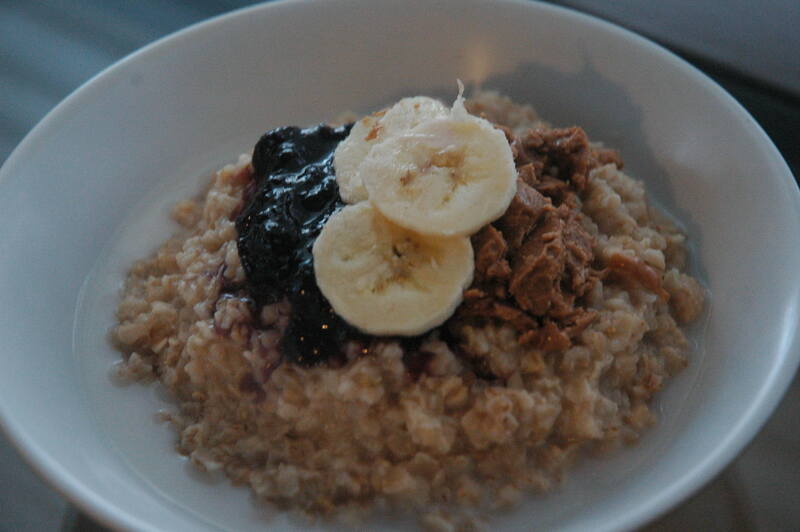 Chop up banana in the bottom of your bowl, top with oatmeal and a scoop of almond butter and jam ( I used blueberry). Top with banana slices and almond milk. Best enjoyed with the morning paper and a cup of coffee.